The Cretan civilization has been closely connected to nature since the ancient years – Minoan period. 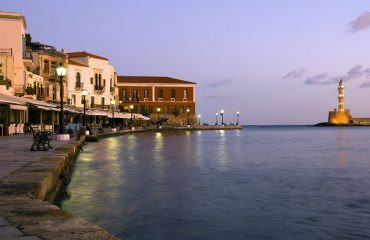 The natural environment of the prefecture of Chania as it is in all Crete is preserved in a very good condition. The beaches are clean and the inner part of Crete remains unspoilt. The rich geomorphology and the temperate climate favor the endemic animals. 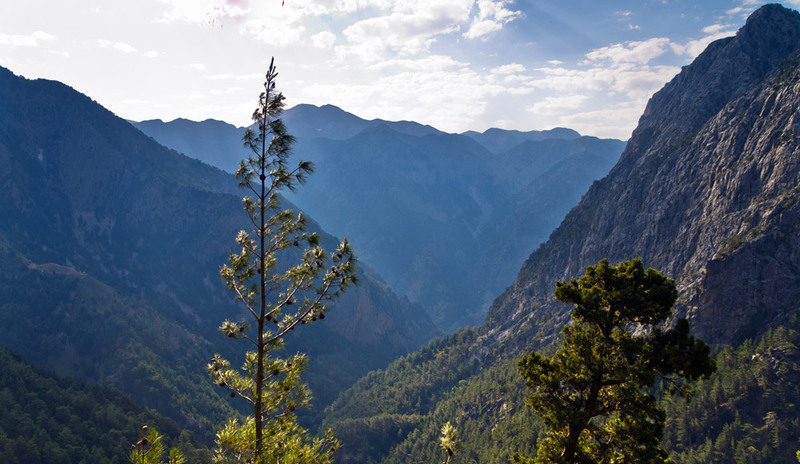 Many of the biotopes are now protected or have been characterized as a national park – Samaria Gorge in the province of Chania. Small animals live on Crete such as hares weasels, hedgehogs and martens. 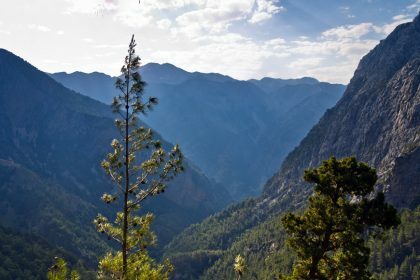 Also you find on the mountains the only Cretan wild goat called Kri-Kri, the one of a kind agathopontikas, the wild cat called fourogatos, the golden eagle, the gypaetos and the vulture. In the Chania villages people have their own chickens, rabbits, goats, cows, sheep, and turkey. They make their own olive oil, raki (tsikoudia) and wine. They grow their own vegetables and they have many different trees like orange trees, lemon trees, peach trees, citrus, avocado, grapes and many more. The morphology of the landscape and the location of Kalathas and Chania and generally in Crete are characterized as temperate Mediterranean and dry with sunlight of the 78% of the year. Winter, months from November to March, is mild and the climate is characterized as cold with frequent showers 8-18 C. The snow on the White Mountains appear from the first days of November and last to the end of May. The weather in April is sweet and pleasant with light rain 16-23 C . May is sunny but not excessively hot 18-25 C.
During the Summer months June and July, which are the hottest months of the year, there is no rainfall at all 22-35 C. August is the last month of Summer and the high season for hotels – apartments in Chania – Crete. It is hot about 23-32 C but some days it is a little windy because of Meltemia from Cretan Sea. “Meltemi” is the wind from the Cretan Sea during August. 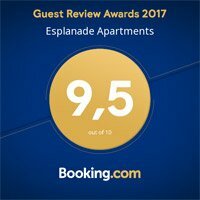 September is usually warm and sunny 20-28 C. It is the best month for swimming as the sea is quite warm for this time of the year, after the Summer. In October it rarely rains, the weather is still warm and mild and swimming in the sea is very pleasant. 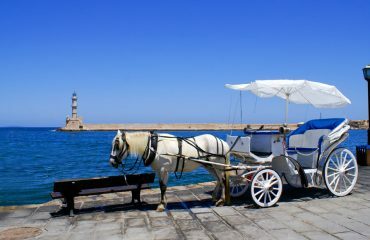 Your holidays in Chania will be fantastic any time of the year. 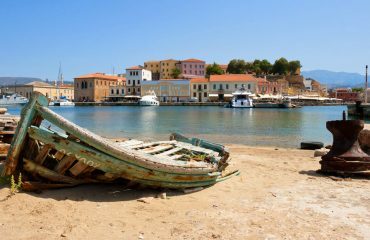 With 78% of sunshine during the year, Chania and Crete are really privileged. Due to the climate is the rich flora on Crete. A large variety of plants and herbs are endemic to the island and can be found on the mountains such as Diktamo, Malotira, Thyme, Oregon and wild Camomile. Similaly, the wild vegetables like radikia, avronies, akournopodi, vrouves, kavkalithres, askrolimpous, melissohorto, kapsanthos, stamnagathi they are delicious and very nutricious. We serve them with olive oil and lemon. 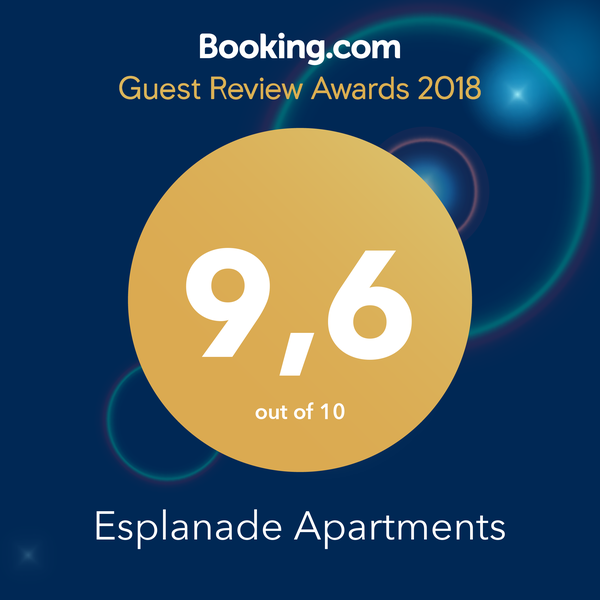 In Esplanade apartments you can see stamnagathi which you find it up on the White mountains. 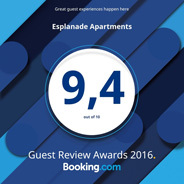 The climate in Crete is ideal for your holidays.